There's one thing on every Missourian's mind today - how to deal with the heat. 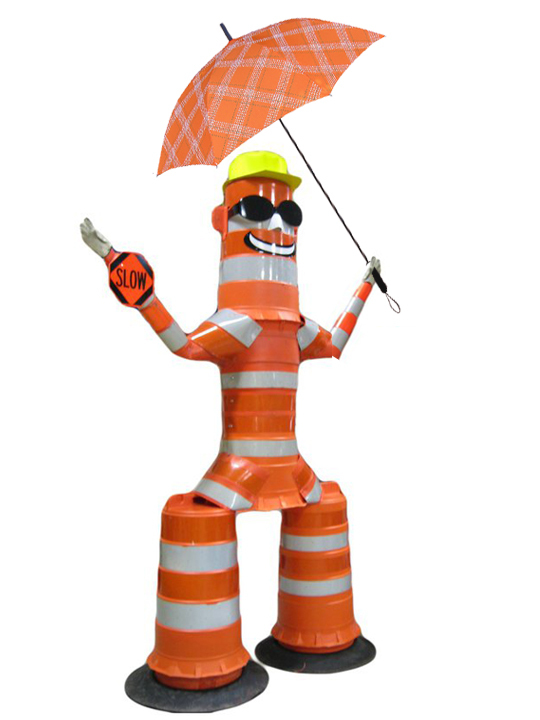 Many of MoDOT's employees work in all kinds of weather. Our maintenance folks are experts at staying hydrated and taking breaks when needed. One of them is very concerned for you. Barrel Bob, Missouri's work-zone spokesbarrel wrote a little piece for our blog today. We hope you enjoy it. Gracious, people! The last time I was this hot, I was being extruded into existence at the barrel factory! But I was designed to take these temperature extremes. I'm a bit worried about you. From my spot here on the side of the road, I'm seeing some folks who treated today as any normal day. They're learning it ain't when they run out of gas or deal a breakdown on the side of the highway. That's a bad deal anytime, but when the world is superheated, the misery is quadrupled! Do me a favor. Check your car before you head out. Do you need to get gas? How 'bout them tires? Should you stop and get air or get that slow leak fixed? If you need to call for help, does your phone have enough juice? When was the last time you checked the coolant? What about coolant for your body? Stocking up with water is a good idea for all travelers - those in vehicles, motorcycles and you self-powered movers on bikes and on your feet. These are the kind of days you learn the true condition of your vehicle. Just try not to learn it on the side of a steamy road! Is bridges are flexible things. Sometimes it feels they’re on springs. 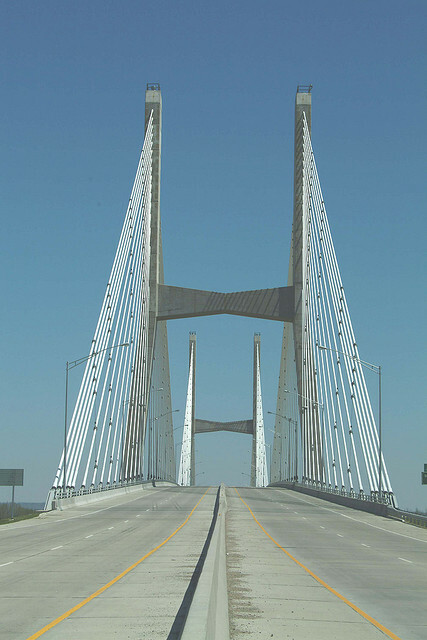 Bill Emerson Bridge in Cape Girardeau, Mo. The idea for the verse popped in my head one evening as I waited for a crash to be cleared from my lane on a Missouri River bridge. As cars and commercial trucks rumbled by, I felt a bounce that was a bit unnerving. It wasn't the first time I'd felt the bounce. It happens on any type of bridge - overpasses and elevated lanes included. 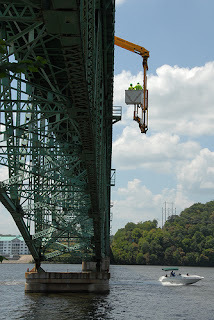 Luckily, several bridge experts work just a short elevator ride from my desk. They helped me to understand that bridges are designed with some flexibility built in. They’ve got to perform in temperature extremes – contracting and expanding with cold and heat – in still and windy conditions, and under differing weight loads. That flexibility means there will always be some movement. In fact – the Golden Gate Bridge in San Francisco is built to swing up to 27 feet mid-span in the unlikely event of a 100 mph broadside wind! 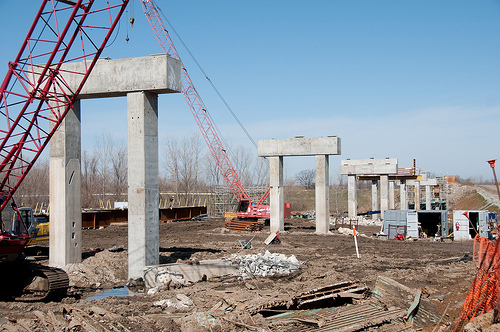 Setting the supports for the Miami Bridge. It's hard to understand how something that looks so stable and solid could move up and down, but have you ever walked on a board laid across two supports? The further apart the supports are, the more vibration you feel as you walk across the board. This vibration, called resonance, also plays a part in bridge movement as vehicles move across a span. Designers and engineers have to strike a careful balance of distances and supports, because a too-stiff bridge has its own issues. ﻿﻿If you are ever stopped on a span and become uneasy with the bouncing movement, maybe this will help - MoDOT's bridge inspection teams, who sometimes use a special truck to view the undersides of bridges, sheepishly tell stories of seasickness suffered when they spend too much time in the bucket attached to the flexible arm of the truck parked on a bouncing bridge. They might be uncomfortable, but they’re never scared. They know why bridges bounce. And now, so do you! 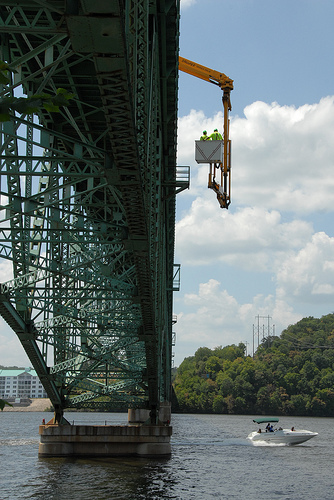 Hurricane Deck Bridge using a snooper truck. Between graduations, family reunions and “I gotta get out of town!” trips, I’ve been putting a lot of miles on the family truckster as of late. Driving interstates, county roads, city streets and gravel paths, I’ve been advised, guided and warned by signs. Lots of signs. Signs of every color and size, it seems. I got curious, so I checked it out and found out there’s a special language to traffic signs – and you are probably fluent without even thinking about it. 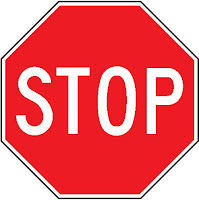 Traffic signs are consistent throughout the U.S. because of a document called the Manual on Uniform Traffic Control Devices. It’s a required reference for traffic engineers, but not something you’d want to take for a read on the beach. 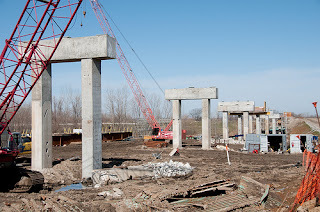 The guide is managed by the Federal Highway Administration and the rules within are followed by all public and private roads open to public traffic. So when I head to visit my bestie in Kentucky, I am assured that the stop signs there will be octagonal with white letters on a red background, just like they are here. Red – Stop, yield and forbidden actions such as No Parking. Orange – Temporary traffic control zones and detours. You often see them at work zones. Yellow – Warning. Think curves, divided highway signs and such. Yellow-Green – This is a newer color used on all new school-related signs, such as school zone and school crosswalk signs. It can be used for bicycle and pedestrian warning signs, too. 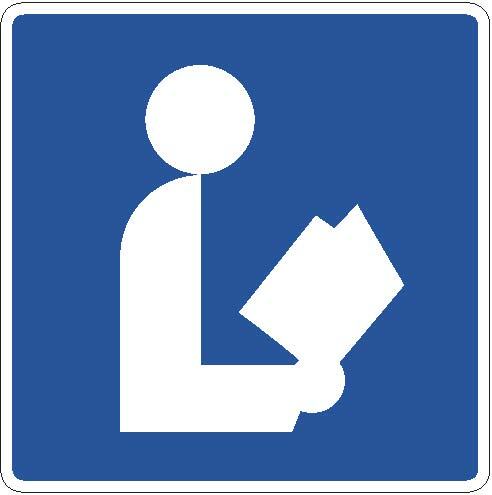 Green – Informational signs that give directions, distances and place information. Blue – Services. These signs announce the presence of rest areas, food, hospitals, lodging and the like. Purple – This color is used on signs intended to help guide drivers who have registered electronic toll collection accounts, such as EZPass. You’ll see these in states with toll roads. Pink – Incident. This is a newer color in a day-glo hue. It indicates a crash or other emergency condition exists. You’ll likely see this on temporary, fabric signs deployed by emergency services like police or fire crews. Brown – Features of interest. 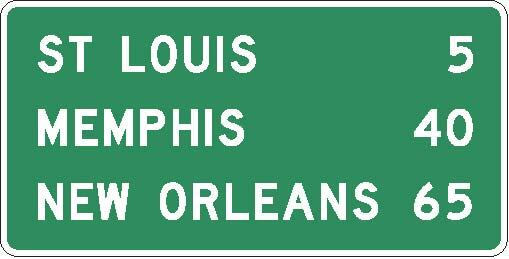 Brown signs direct motorists to parks, historic sites and similar sites. Other parts of the MUTCD dictate sign shapes, the type font and case of letters used on signs and other traffic markings. It’s a valuable reference - kind of a grammar handbook and dictionary rolled into one…but I think I’ll grab a nice thriller for my weekend at the lake.